We strive to not only meet your needs but to exceed your expectations. A DJ can make or break your night so why not leave it to the experts. Soundwave DJ’s can make sure that all of your guests enjoy the night as much as you do. Please see our packages and prices for further details on services provided at your event. Photography captures all special moments during the event. SoundWave provides photography services for many different functions. Let the pictures tell your story. Take a look through our packages and in our galleries for examples. Uplighting provided by SoundWave can transform any room. No matter what the event is the uplighting service has a dramatic impact on the overall look and feel of your event. Please see our packages for more details. Add a bit of fun to any event with a party favorite…the photo booth! Today’s photo booths are more customizable and have many awesome options. Check out our all inclusive photo booth packages today! 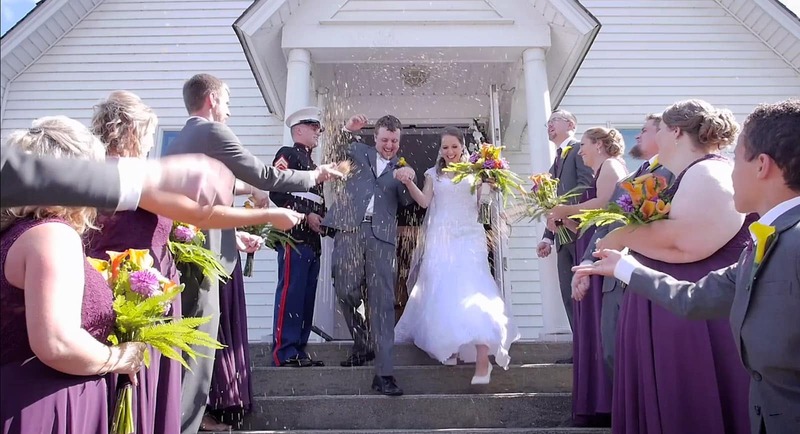 What tells your story better than a beautifully created wedding video documenting all of your special moments? Contact us today to get some information on different options for amazing video services! Does it get any easier? Let us make planning your big event simple by combining award winning services together all under one roof. Please click here for more details! SoundWave DJ and Photo is a full-service entertainment company. Our focus is to provide the best DJ, photography, videography, and uplighting services for your most important events. We strive to not only meet your needs but to exceed your expectations.